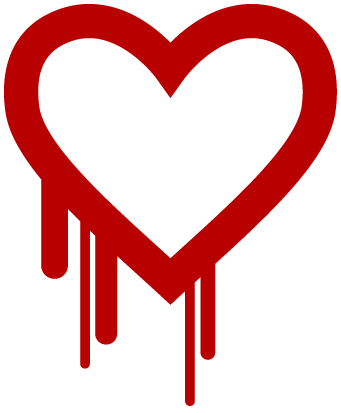 A critical OpenSSL vulnerability nicknamed “Heartbleed” was discovered recently. IMPORTANT: It is very likely that you are impacted by this vulnerability. The Heartbleed OpenSSL Bug is a serious vulnerability in the popular OpenSSL cryptographic software library. This weakness allows stealing the information protected, under normal conditions, by the SSL/TLS encryption used to secure the Internet. SSL/TLS provides communication security and privacy over the Internet for applications such as web, email, instant messaging (IM) and some virtual private networks (VPNs). The Heartbleed OpenSSL Bug allows anyone on the Internet to read the memory of the systems protected by the vulnerable versions of the OpenSSL software. This compromises the secret keys used to identify the service providers and to encrypt the traffic, the names and passwords of the users and the actual content. This allows attackers to eavesdrop on communications, steal data directly from the services and users and to impersonate services and users. 1. This is not a vulnerability with SSL Certificates. 4. As a precaution to protect your data, I highly recommend that you change all your account passwords. To confirm if your blog or website is attacked by the Heartbleed OpenSSL Bug, you can do a test on your server for the heartbleed bug. If your blog is attacked, the best thing to do is to contact your blog host. Your host will need to find a solution and protect the server that hosts your blog. Also, to learn more about Heartbleed bug, please read the article as soon as you can. It’s located here: heartbleed.com. Take care of yourselves, your domains, certificates and servers! Thank you and don’t hesitate to comment below if you have any questions.